Whether it be in Mississippi or in another country, I have always felt the Lord has blessed with me a serving heart. I try to be available to help others if I have the abilities. But when it came to short-term mission trips, I have always been somewhat of a skeptic. Trust me, I never wanted to have these preconceived ideas before even stepping foot on the mission field, but hearing all the stories of people coming and going week after week made me feel for the people that never left. I assumed the locals resented Americans for showing up, doing what they did, feeling good about themselves…and then leaving. Where were the relationships? What is the long-term effect? Will they remember us tomorrow? When a friend called and asked if I could fill an empty spot for a medical mission trip to Haiti, I knew that God was opening a door. As a dental assistant, I knew I could be a lot of help to the dentists on the team. 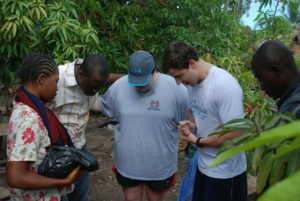 I left for Haiti thinking we were just another short-term team that would do work and then leave. I learned very quickly that all of my previous thoughts in no way reflected the ideas and goals of Hispaniola Mountain Ministries. I was blown away when we arrived to the Dominican Republic and were greeted by local employees of HMM. Hispaniola Mountain Ministries not only allows people in the States to use their talents to improve communities in Haiti and the Dominican, but it is also providing a multitude of jobs for the locals. These long-term jobs provide the relationships needed to really make an impact on communities. Yes, the medical work we did was invaluable to their heathcare needs, but when we are gone, these men continue to share the gospel with their neighbors in Haiti. I could write an entire blog about my experience in the dental clinic or the impact the kids had on my heart, but I learned much more about the effects of HMM on this trip. Hispaniola Mountain Ministries has empowered the local leadership to deliver the Gospel year around to the people in Haiti. They have provided a means for the communities to allow self-sufficient growth. Although I never had the opportunity to meet Tim [Dortch], it is quite evident that his vision and passion will continue to live on in the lives of those he touched. I gained the knowledge that some “short term” mission trips can simply be just adding another step to the endless staircase that is the Gospel.